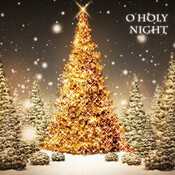 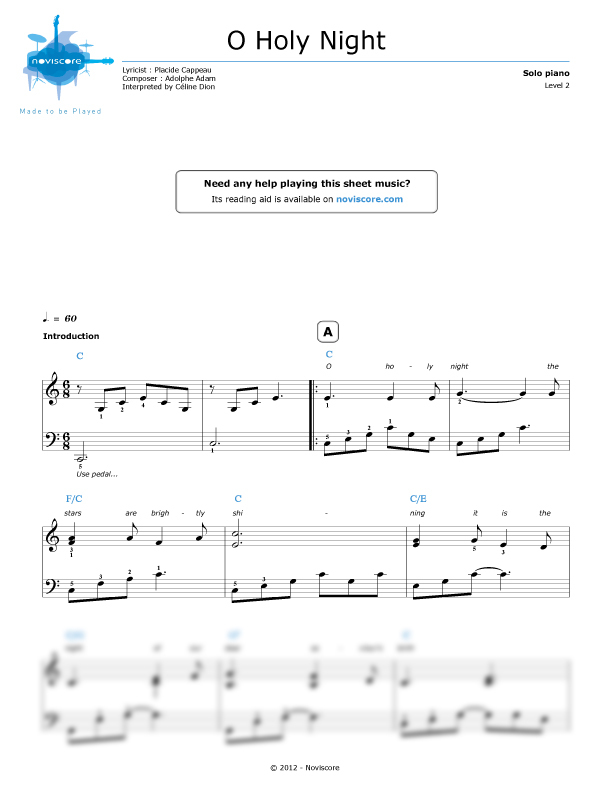 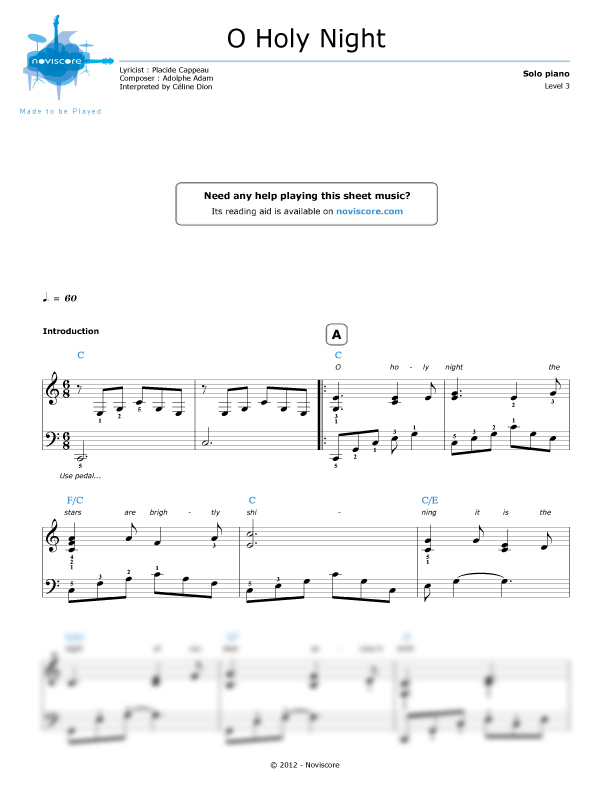 Discover our O Holy Night piano sheet music of this famous Christmas carol! 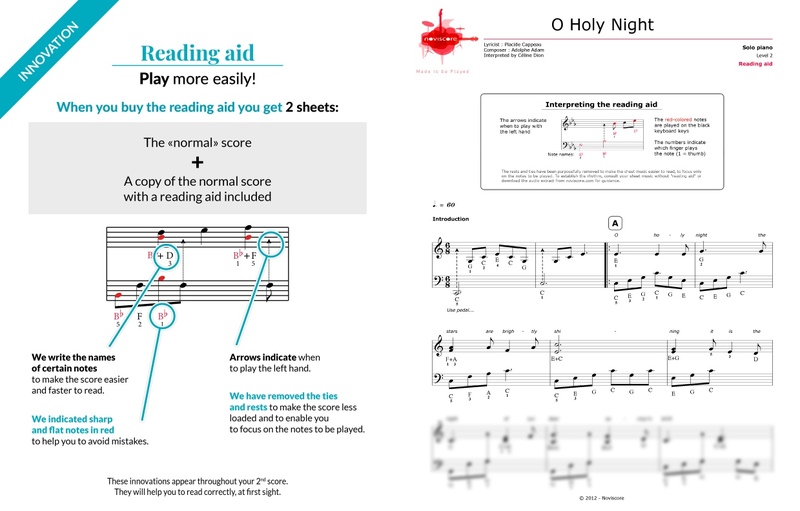 You can choose the score best suited for your playing ability from our different levels of difficulty for either piano solo or piano accompaniment. 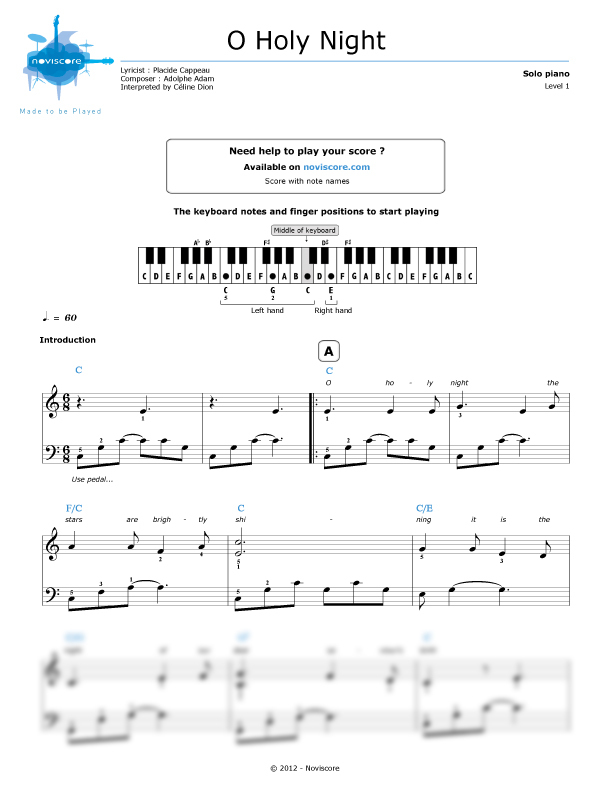 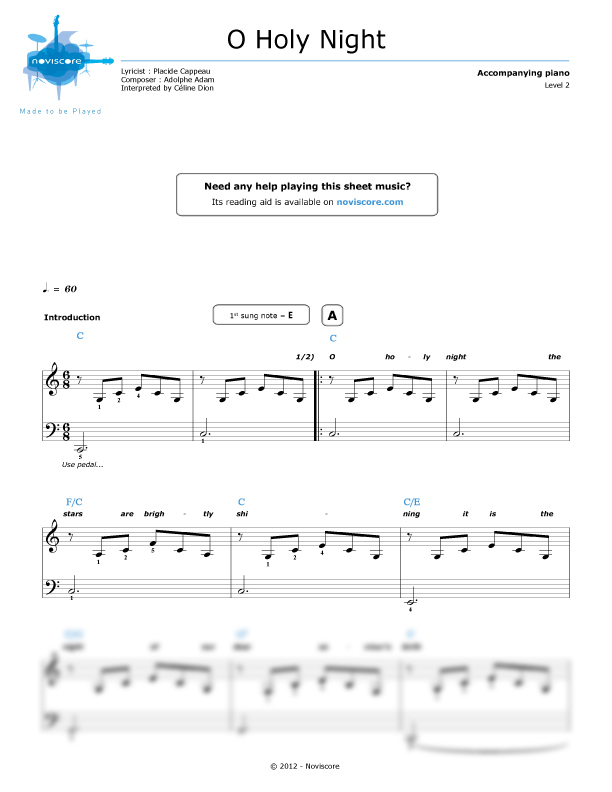 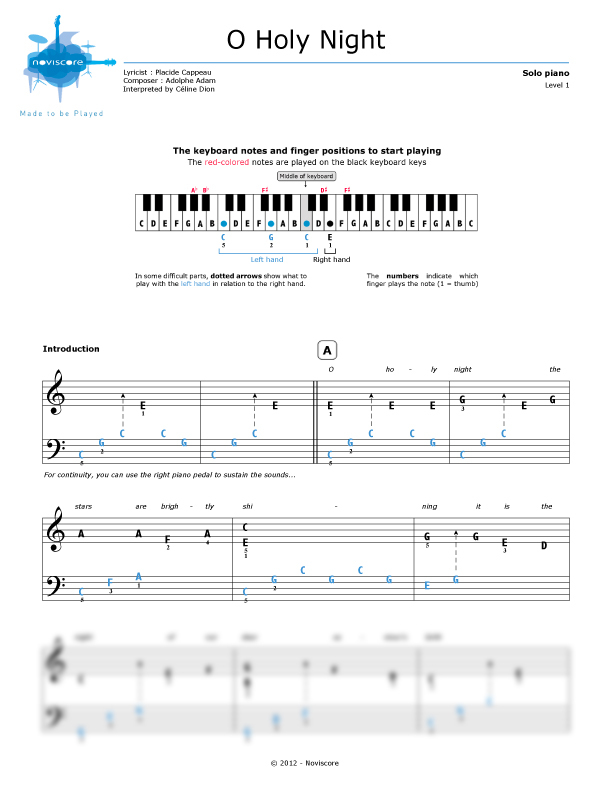 Beginners who have trouble reading music can even find an easy piano score where the notes have been replaced by their names and which reads a bit like a tablature. 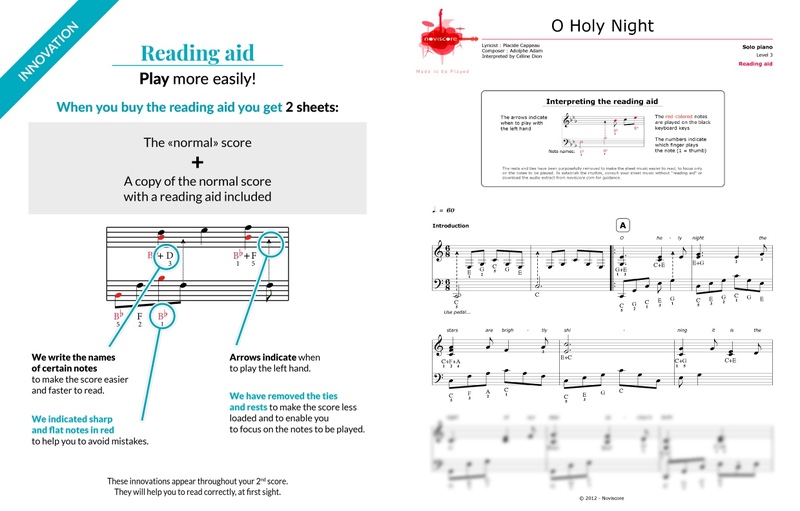 If you prefer to sing along, choose the piano accompaniment score level 2 with or without reading aid. 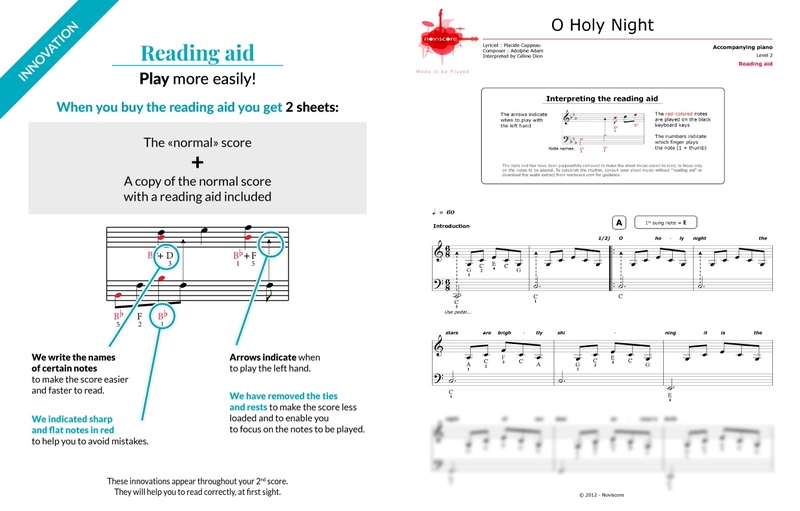 Indulge yourself and play O Holy Night this Christmas!